Election Tracker LIVE: The SP-BSP alliance in Uttar Pradesh is holding its first joint campaign rally for the coming Lok Sabha elections in 25 years in Saharanpur's Deoband. The top leaders of the parties are addressing the Deoband meeting just days before Saharanpur and seven other western UP constituencies go to the polls in the first phase of the Lok Sabha elections on April 11. This is be the first joint public meeting by the three parties after they formed the alliance to take on the ruling Bharatiya Janata Party in the state which sends 80 MPs to the Lok Sabha. RLD spokesperson Anil Dubey claimed the impact of the alliance is evident by the irresponsible statements by BJP leaders, including Prime Minister Narendra Modi. IT Raids: DMK leader Duraimurugan Alleges Plot to Frame Him | Slamming the recent IT raids at the premises owned by his son, contesting the Vellore Lok Sabha seat, DMK Treasurer M Duraimurugan on Sunday said nothing incriminating could be found and it was an attempt by the Centre and Tamil Nadu governments to wreak personal vengeance. The BJP will release its manifesto for the Lok Sabha polls scheduled to start from April 11 on Monday, with issues of development and national security set to be its key highlights. Top party leaders, including Prime Minister Narendra Modi and its chief Amit Shah, will be present at the launch of the manifesto, described by the BJP as its "sankalp patra". 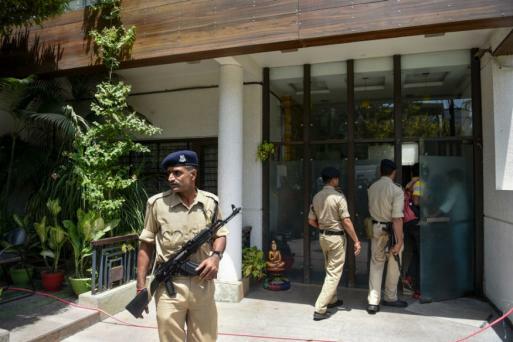 The letter comes hours after a team of over 15 income tax officials raided the homes of Madhya Pradesh chief minister Kamal Nath's former private secretary Praveen Kakkar in Indore. Uttar Pradesh chief minister Yogi Adityanath Sunday said described the Telugu Desam Party and the Congress as dynastic parties where only family members can become leaders unlike the BJP where any common man can rise to the top. In the TDP and the Congress, only family members can rule, but in the BJP common man can also scale the peak, he said. He pointed to Modi, vice-president M Venkaiah Naidu and BJP president Amit Shah who have risen to their present positions from a common man background. TRS chief and Telangana chief minister K Chandrasekhar Rao on Sunday hit back at Narendra Modi for making personal remarks on him and said he had never come across such a "petty" Prime Minister. Accusing Modi of dividing people on religious lines, he said the BJP raised issues like Pakistan, Hindus and Ram temple at the time of elections. Tamil Nadu chief minister K Palaniswami on Sunday said DMK president M K Stalin was not qualified to speak on the Cauvery issue since the party had failed to notify the final award of the Cauvery Water Dispute Tribunal in the gazette. He also said the DMK had not fulfilled any of the promises it had made during the last assembly elections. Palaniswami made the allegations while campaigning for M Thambidurai contesting from Karur and alliance party candidate PMK nominee S Jothimuthu from Dindigul. ‘Unholy, Corrupt’ DMK-Congress Alliance Will End in Disaster: Rajnath Singh | Senior BJP leader and Union home minister Rajnath Singh Sunday slammed the DMK-Congress front in Tamil Nadu, saying it was not a progressive alliance, but a 'corrupt' and 'unholy' combine which would end in a 'disaster'. A BJP worker had lodged a complaint with police accusing Matondkar of making anti-Hindu remarks. The Congress leader in her reply said that she has been 'victimised' like many others in BJP rule. 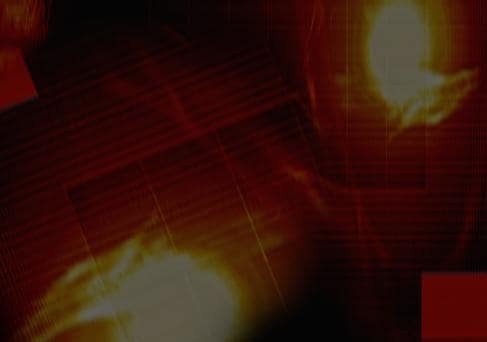 The BJP's Jammu & Kashmir unit on Sunday accused the Congress of being in habit of backing anti-Indian forces, saying its promise to amend the AFSPA in militancy-hit Kashmir will only embolden terrorists. "The Congress has always strengthened the hands of anti-Indian forces. It is shocking that the Congress has promised to revoke the AFSPA. It will only be a morale booster to terrorists and embolden them," senior BJP leader Sham Lal Sharma told a public rally in Aknoor border belt. Expressing ignorance about the cash found during Sunday's I-T raids in premises of MP CM Kamal Nath's aides, senior Congress leader Digvijaya Singh said the Bharatiya Janata Party (BJP) could go to any extent (to have its way). Asked about the saffron party's allegation that crores of rupees were found from people who had been claiming that the "watchman" was a thief, Singh said, "Thousands of crores would have been recovered if the (I-T) raids were conducted at the houses of mama-mami (referring to former Madhya Pradesh chief minister Shivraj Singh Chouhan and his wife) and (BJP president) Amit Shah." Take Action in Neutral, Impartial Manner: EC | The EC in a letter today to the Department of Revenue advised that all enforcement actions by the department during the elections period be conducted in a neutral, impartial and non-discriminatory manner. The EC's letter comes after multiple raids by the IT department were conducted in the residences of Congress leaders in Bhopal. Akhilesh Yadav Calls for 'Mahaparivartan' | Samajwadi Party chief Akhilesh Yadav at a public meeting today said this time, the Lok Sabha elections are to bring a "mahaparivartan". Referring to the 2014 parliamentary election, the Samajwadi Party chief said, "He (Modi) came as a chaiwala (tea-seller) and we all believed (him) for the sake of 'achche din' and crores of jobs. But now, when elections have come again they say they are chowkidar (watchmen)." 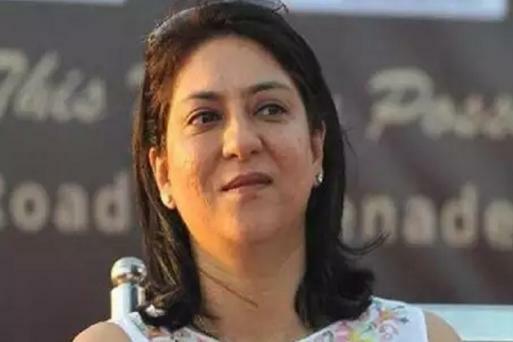 Mumbai: Former Congress MP Priya Dutt, who after her initial reluctance to join the poll fray, has been nominated as the party candidate from Mumbai North Central. NDA Will Win More than 350 Seats: Paswan​ | Lok Janshakti Party chief and Union Minister Ram Vilas Paswan today claimed that a National Democratic Alliance (NDA) "wave" is sweeping the country and that it would win all seats in Bihar. "It is certain that Narendra Modi would become Prime Minister again as people have made their mind to support and vote the NDA to power. 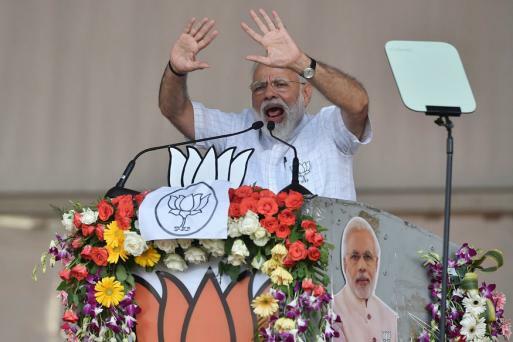 NDA would win all 40 Lok Sabha seats of Bihar and more than 350 across the country," he told reporters after releasing the party's manifesto. Vote For Congress, Vote Against Development: Yogi Adityanath | Uttar Pradesh chief minister Yogi Adityanath at a public meeting today in Peddapalli alleged that a vote given to the Congress in the Lok Sabha elections would only strengthen terrorism, Naxalism and separatist forces and obstruct development. The BJP-led government through its 'Sabka Saath, Sabka Vikas' principle was committed to the development of all sections of people, he said. When local police reached the spot, the I-T team closed the door from inside with help of CRPF officials. Independence and Autonomy of Universities Will be Restored: Rahul Gandhi | Congress president Rahul Gandhi in a Facebook post today said if voted to power, his party will introduce a single-window system for education loans and bring a law that will "list the rights and duties of students". "The Congress will restore the independence and autonomy of colleges and universities and will open new state-run varsities in backward areas of the country to ensure the expansion of education. Congress will also bring 'Student Rights Law' that will list the rights and duties of students," he said. BJP Leaders are Hypocrites: Naveen Patnaik | BJD president and chief minister Naveen Patnaik at a public meeting in Rayagada, Odisha today called BJP leaders as "hypocrites". He accused the NDA government at the Centre of neglecting Odisha. "These people (BJP leaders) have no sympathy for the poor, women and Odisha as a whole. These are all 'Biradi Baishnab' (hypocrites)," Patnaik said. 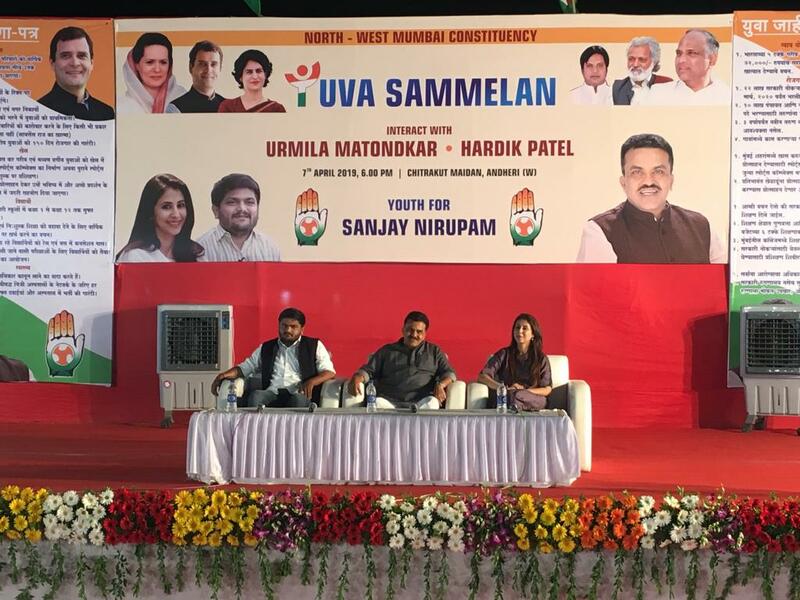 Congress' Urmila Matondkar, Hardik Patel and Sanjay Nirupam at the party's youth event Uva Sammelan in Mumbai. BJP Can Sense its Defeat: Kamal Nath | Madhya Pradesh chief minister Kamal Nath in a statement today has accused the BJP of using state institutions to their advantage and raiding the homes of Congress leaders. "They are doing this because they have nothing to say on the topic of development and they have nothing to show. It seems that BJP can sense its impending defeat in the Lok Sabha elections and so they are resorting to these tactics for political gains. Many states have been witness to these tactics that they have used over the last 5 years," he said. Mayawati Under EC Scanner for Deoband Speech | The CEO has sought a report from the local administration on Mayawati's Deoband rally speech from today where she called upon Muslims to vote for the SP-BSP alliance, and not for the Congress party. Punjab Minister Navjot Singh Sidhu today said Congress president Rahul Gandhi has asked him to campaign extensively for the party ahead of the Lok Sabha elections, PTI reported. Sidhu is expected to campaign for the party for 40 days starting April 10. Congress' Anand Sharma questioned the IT raids currently being conducted at the residences of Congress leaders. "Has any agency gone to the BJP to investigate how crores of money are being spent?" he asks. PM Modi Makes False Promises, Listen to His Previous Speeches: Ashok Gehlot | Rajasthan Chief Minister Ashok Gehlot today accused Prime Minister Narendra Modi of making "false promises" and claimed the Congress party would not need to campaign to win elections if people start listening to his previous speeches now, PTI reported. Addressing an election rally in Kolayat town in Bikaner district, Gehlot said people had high expectations from the prime minister but an environment of "fear, violence and hatred" was created in five years. In its manifesto, the Congress has promised that it won't allow any change in constitutional position on Article 370, will review AFSPA and reduce presence of armed forces in the Kashmir Valley. Wayanad is a Wrong Decision for Rahul Gandhi: CPI | The CPI today said Congress president Rahul Gandhi's contest in Wayanad Lok Sabha seat in Kerala against the party candidate was a "wrong decision". "It is a wrong decision by Gandhi. It has sent a wrong signal among the people about the intention when both the Left parties and Congress were fighting against the BJP," CPI General secretary S Sudhakar Reddy told the media. 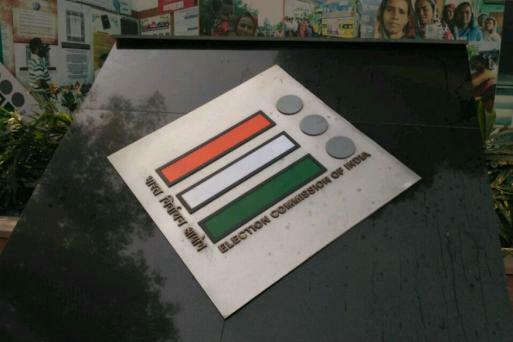 EC Orders Probe on Bribery in Arunachal Pradesh | Days after Rs 1.8 crore was recovered from two vehicles in Arunachal Pradesh, the Election Commission today ordered poll authorities in the northeastern state to get an FIR lodged under a penal provision dealing with bribing voters. While one vehicle belonged to former MLA Dangi Perme, the other vehicle was registered in the name of a deputy secretary of state transport department. This EC probe comes after a delegation from the Congress party approached the EC with a list of poll violations by the BJP. Mumbai Joint Commissioner of Police (Law and Order) Deven Bharti was transferred today after the Election Commission (EC) asked the Maharashtra government to shift him, PTI reported. Don't Commit the Same Mistake: Amit Shah | "If the Modi government sent money for the development of the State and that did not reach the people here, then BJD government needs to be thrown out. If you commit the mistake this time again, you will continue to have chit fund scams and your mines will be sold to industrialists," Amit Shah says. Home Minister Rajnath Singh at a rally in Mangaluru on March 9, 2019. He said the rally will give a further momentum to the campaign of the "grand alliance", which he claimed is very comfortably placed in the state. After cobbling together the alliance, Akhilesh Yadav had announced that joint rallies will be held in different parts of the state. Yadav and Mayawati had together drawn up a strategy to start the campaign during 'Navratri', which began Saturday, from western UP, a leader said. The SP and the BSP, which announced their alliance in January, will contest on 37 and 38 seats respectively. The RLD will fight on three seats. The alliance has decided not to field candidates from Rae Bareli and Amethi, the constituencies held by Congress leaders Sonia Gandhi and Rahul Gandhi. Yadav, Mayawati and RLD's Ajit Singh will address 11 joint rallies between April 7 and May 16, a spokesperson said. After Deoband, rallies will be held in Badaun, Agra, Mainpuri, Rampur, Firozabad, Kannauj, Faizabad, Azamgarh, Gorakhpur and Varanasi. In Mainpuri, the SP has fielded Mulayam Singh Yadav, while Akhilesh Yadav's wife Dimple Yadav is contesting from Kannauj.